Preceding the premiere of this year’s funniest feature to date (that’s Deadpool 2 in case you weren’t aware) was a red-band trailer for this puppets in peril picture from Brian Henson (yes, that’s Jim’s son) and the entire audience, myself included, were in tears from laughter and very excited for its potential. Unfortunately, this proved to be a fatal clue in this noir lite clunker where the classic culprit is the 3 minute preview that allows you to skip the remaining 87 minutes and save some cash and brain cells. Now that’s not to say there isn’t some mindless fun to be had and it makes for a decent matinee but it could have been so much more. In short, I had hoped for “Meet The Feebles” was willing to settle for “Ted” and didn’t end up with either. What “The Happytime Murders” has is a hodgepodge of first rate puppetry, half assed acting and sight gags that delight at first but diminish quickly as the film drags on. The jokes get old quick and the few flashes of innovation, intrigue and intensity are wasted mainly on the bookends, leaving for a less than satisfying main course. “The Happytime Murders” occur in an alternate present where puppets and their non-felt human counterparts live in a world where the former isn’t exactly equal to say the least, largely relegated to a life of abuse and disrespect. The single source of acclaim and adoration stems from “The Happytime Gang” a beloved puppet sitcom from the 80s that’s recently achieved a lucrative syndication contract with a caveat that any deceased members share will be passed on the surviving ones. Private investigator Phil Phillips, the first puppet police officer discovers this and follows the trail with his hostile former partner Connie Edwards (Melissa McCarthy) trying to save the rest of the cast. In a rare wise move, puppeteer and voice actor Bill Barretta is allowed to animate Phil Phillips and grant him a wry, deadpan personality befitting a classic gumshoe. While not earth shattering and I am sure it has a great deal to do with Henson heading the picture but it’s wonderful to see a master of their craft given the spotlight. 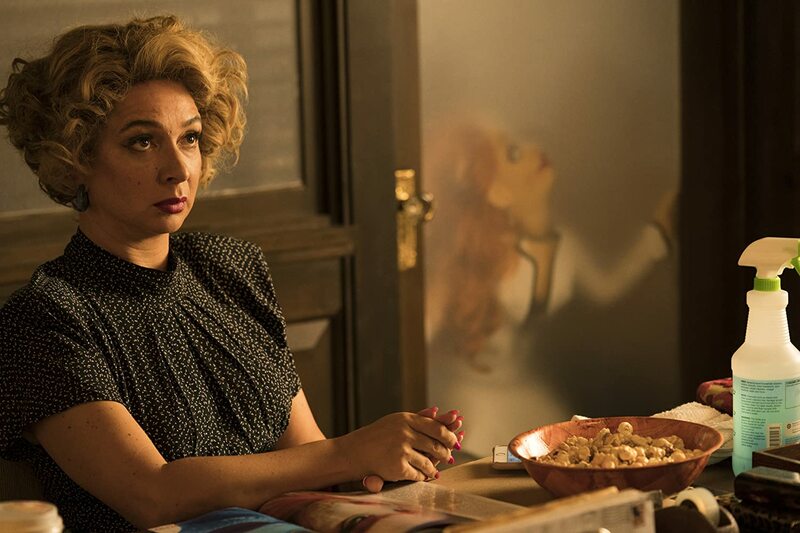 The other standout here is Maya Rudolph who does an absolutely fabulous turn as Bubbles, Phil’s secretary, confidant and effervescent light with a 40s sense of fashion and sass. She shares a few scenes with her former “Bridesmaids” cohort Melissa McCarthy that is much better than expected and if they had just a few more minutes of run time might have fleshed out something more substantial. Far less impressive is the usually on point Joel McHale falling flat as an FBI agent but could have just as easily credited as “Joel McHale reprises his role from “Ted” and I wouldn’t have noticed. Finally, horror and genre fans will be happy to see the one and only “Tarman” Allan Trautman stepping out of his zombie outfit and into the role of an octopus who let’s just say wants something other than brains this go round. 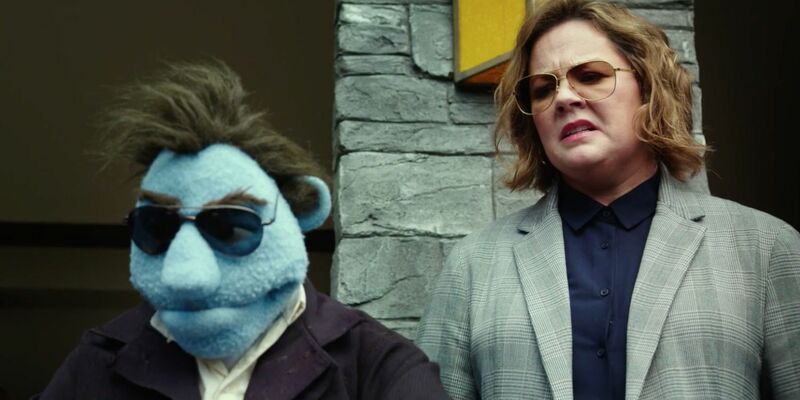 “The Happytime Murders” can be best summed up with the fact that Katherine Heigel passed on the lead in this – that pretty much says it all.